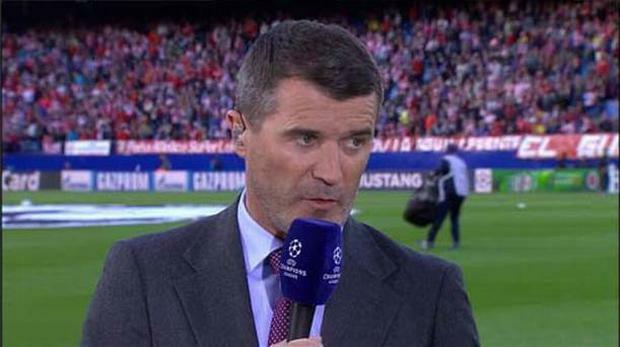 ITV pundit Roy Keane was less than impressed by Bayern Munich's defending tonight. Bayern Munich got off to the perfect start against Barcelona tonight, but the lead didn't last long and ITV pundit was scathing of the home side's defending. Trailing 3-0 from the first leg, a goal from Medhi Benatia after just seven minutes at the Allianz Arena revived hope for Pep Guardiola's side. However the Catalans proved to be the masters on the counter-attack, with the sublime forward trio of Luis Suarrez, Leo Messi and Neymar working together to devastating effect yet again. Neymar helped himself to a brace, but the defending from the Bundesliga giants was poor at best, with the high line ruthlessly exposed for both goals. "If U18s did that you'd be pulling your hair out," Keane opined on the sideline. While Keane slated the defending as "terrible", he absolved Guardiola of further critisicm. "Poor defending is not always the manager's fault. Today it's just poor defending individually." As per usual, there has been the love him/hate him reaction on Twitter to his criticism of the Germans. Laughable when Roy Keane talks about shocking defending. Like any team he's been involved in as coach/manager has been good at it! I can't help but feel like Roy Keane only gets the pundit gig based on the off chance he says something controversial. Same with Souness. Agree with Roy Keane, it's not a managers fault if the defenders decide to be disabled. What utter drivel from the pundits @ half-time!! Barca v Bayern & Roy Keane is talkin about U18's & playing footy in the street!! Whit?! Watching u21 football to avoid Roy Keane. Not having him in my living room.